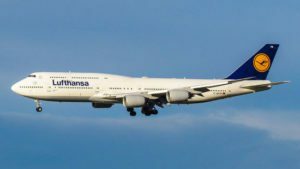 If Vibration Fatigue can bring down a Boeing 747, you can be sure it will bring down your Caravan too. Boeing has taken precautions against vibration fatigue and so should you. Consider the following article; there may be a few precautions you can take or at least check. There is no substitute for peace of mind. You will not be surprised to hear; vibration fatigue is not restricted to caravans. LIght, heavy trailers, earthmovers, diggers, trenchers and in fact every piece of equipment ever invented cannot withstand vibration fatigue unless precautions are taken. One of the most common calls we get at Couplemate is, my caravan is swaying at 100 km. I have a heavy ball weight of 10 %, should I get sway control. The first answer is, please tighten up your u-bolts. 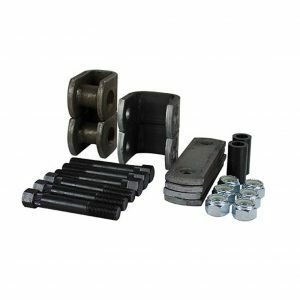 Caravan and trailer u-bolts are made from mild steel and require tightening after the first 300km – 500km. You may get as much as 1.4 of a turn, maybe more. Loose u-bolts will cause your caravan to sway. View this simple video and image the stresses and fatigue caused by sway. Sway can be a function of incorrect balance. Caravan Vibration fatigue will cause your electric magnets to fail on corrugated roads in just a few weeks. Ever heard rattles coming from your caravan? Is cutlery in the drawer or pots and pans becoming prematurely old? The simple answer is, all of your equipment is absorbing energy from the road into your caravan and car. Shock absorbers on all wheels, BTW you can buy shock absorbers by clicking the right image. The second answer is, remove and check your shock absorbers. Gas lines have nuts and any nut will loosen due to vibration fatigue, in outback conditions. Loose nuts allow gas to escape and that can prove disastrous in confined areas. It has the potential to destroy your investment. The third answer is, tighten all nuts on your caravan including gas connections. 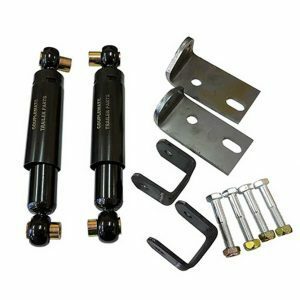 One of our biggest sellers is shackle bolts, bushings and shackle plates. If not checked before every trip, they can lead to spring breakages. Under normal highway conditions, you can expect good, even year for a number of years. Caravan vibration fatigue conditions will cause wear to be multiplied by 10 fold. Click the image for all of your shackle bolt needs. The fourth answer is, check shackle bolts, nuts and bushings. If your rig feels heavy when driving, we recommend you read this article about the importance of weighbridge certificates. Seriously, if your rig is not towing straight and true, take it to your local caravan bloke who can give it a serious inspection to cover so much more than I can cover here. Example, some manufacturers have 6 leaf springs on the passenger’s side and 5 leaves on the driver side. Why? Because they put the fridge and stove on the left-hand side and they did not allow for weight and camber. Hence the spring solution. An extreme solution to beat vibration fatigue is to install independent suspension. Finally, this is just an example of some things that can be out of the ordinary. If you are able to write down your symptoms, I am sure your local caravan bloke can greatly improve your towing experience.